While we don't often see Judith Light on the red carpet, she does tend to bring her style game. She attended the For Your Consideration event for FX's 'The Assassination of Gianni Versace: American Crime Story' TV mini-series at the Director's Guild of America Theater in West Hollywood, CA yesterday(March 19th). 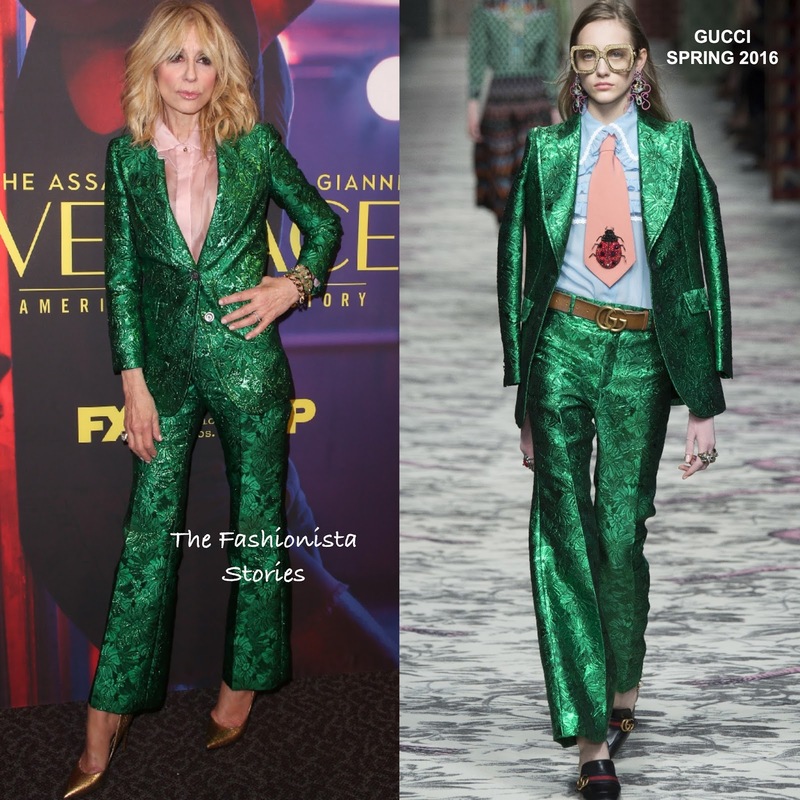 The actress was a stand out wearing a shimmery green floral jacquard GUCCI SPRING 2016 two-piece suit with a sheer soft pink shirt underneath and crop trousers. What's not to love about Judith's look here as she was chic in this retro inspired suit. Accessorized with a selection of chain bracelets & gold pumps, she finished up with her signature layered light waves and smokey eyes.